Orders are shipped within 3 business days, and customers can expect to receive Priority mail packages within 3 business days of shipping, and media mail packages within 15 business days of shipping. During the busy season of June-September, please allow up to 5 business days for orders to ship. I received a shipping confirmation, so why does the tracking link say that there is no tracking information for my package? If you received a shipping confirmation e-mail, then your package was definitely shipped out today. Sometimes it takes a day or two for tracking websites to be updated with current tracking information. What is your return policy for planners? All returns must be made within 30 days of purchase. Planners must be in original shrink wrap. A 10% restocking fee will be deducted and shipping costs are not refundable. Products that are opened and/or written in are not returnable and will not be refunded. What is your return policy for Well Planned Lessons and Well Planned Start? Due to instances of customers photocopying and then returning Well Planned Lessons and Well Planned Start books, we cannot offer refunds for these items. Can I send something back, even if it doesn’t meet the criteria for a returnable item? Items sent back to us that are not eligible for return will be discarded. We cannot issue a refund in these cases, nor can we ship the product back to you. You can access your downloads at any time by logging into your account on our website and choosing My Downloadable Products on your account page. 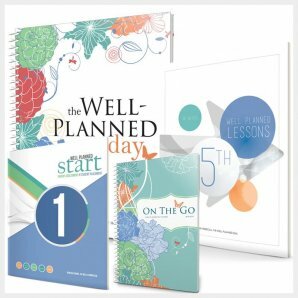 What is your return policy on the Well Planned Day Software Planner? We are happy to offer a free 30 day trial of My Well Planned Day so that our customers can be sure it’s a good fit for their family before purchasing a subscription. As we do offer the trial, we do not offer refunds on software subscription purchases. Is there an app for MWPD? 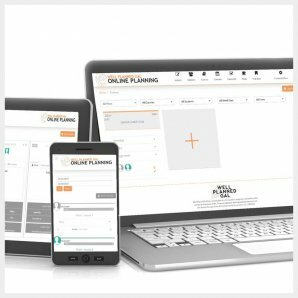 There is no separate app for our online planner, but it is designed to work on mobile devices! Just log into your My Well Planned Day account using your phone or tablet’s internet browser. Most browsers give you the option to add a shortcut button to the home screen on your device. Check the menu in your browser to see if it offers that option. How many issues are published each year? 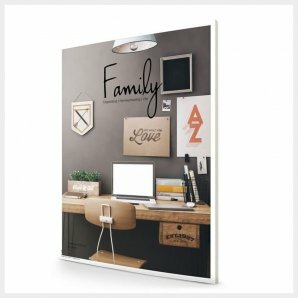 Family Magazine is published four times a year. After subscribing, when should I expect my first issue? Please allow 6-12 weeks to receive your first issue. When will I receive my next issue? Well Planned Gal Magazines publishes four times per year. Issues are typically published in March, May, July, and October. Why haven’t I received the current issue yet? It can take up to four weeks for magazines to arrive once they have mailed out to subscribers. The time it takes for magazines to arrive varies depending on your location, and any weather-based delays. How do I subscribe if I do not want to subscribe online? After subscribing, how do I change my address? Please use your account to make changes to your address or other information. If you cannot do this, please use our contact page to send us your old and new mailing addresses. Will the US Postal Service forward my magazine? Well Planned Gal Magazines are sent as “bound printed matter.” The Postal Service will NOT forward issues. To insure that you continue receiving your magazine, make sure you change your address with us. If a subscription is canceled within 90 days of the original purchase, we will process a pro-rated refund for the unused portion of the subscription to the card used in the original transaction. If your subscription is canceled more than 90 days after the purchase date, the refund for the unused portion of your magazine subscription will be in the form of store credit.